1302 passes the remains of Blunsdon's distant signal, as it runs alongside the new houses at Haydon during the Swindon & Cricklade Railway's Diesel Gala on 16 March 2014. 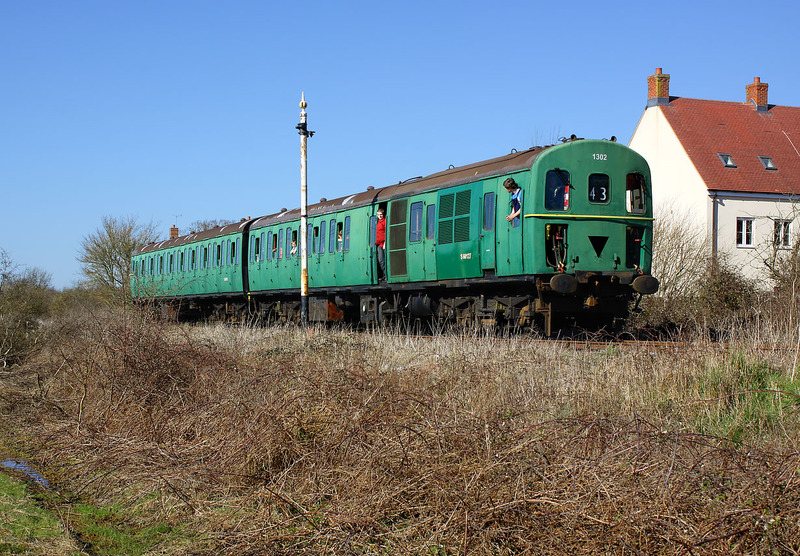 It is working the 13:36 Hayes Knoll to Taw Valley Halt service. Originally introduced in 1962 as a three car unit, 1302 later received the TOPS number 207002. It lost its centre car in 1992, and was renumbered 207103. Three years later it acquired a replacement centre car, and was renumbered yet again to 207203! It was withdrawn from BR service in 2004.